How does it work? 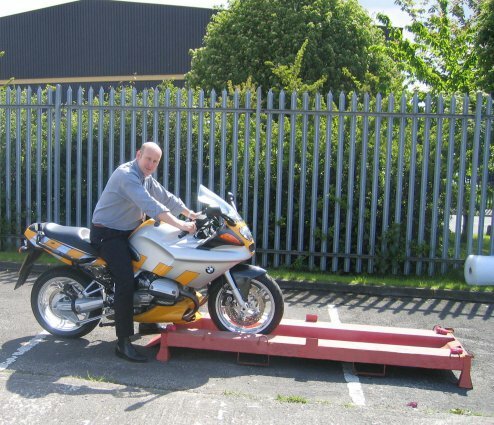 Well, it’s a pretty straight forward procedure, you drop off your motorcycle to our UK depot and we assist you to mount it on one of our purpose made transport cradle. We then bubble wrap it and prepare it for shipment, as shown in the photographs below. 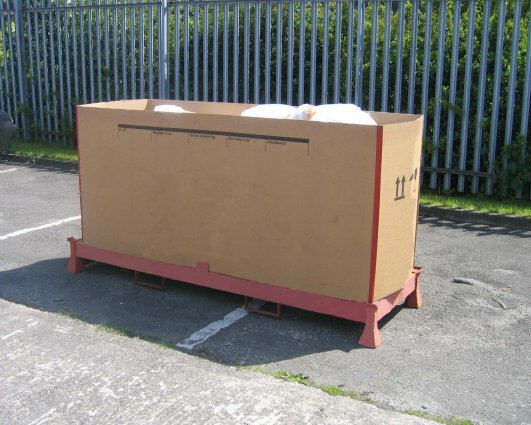 We have a variety of differently sized transport cradles to accommodate most types of motorcycle. 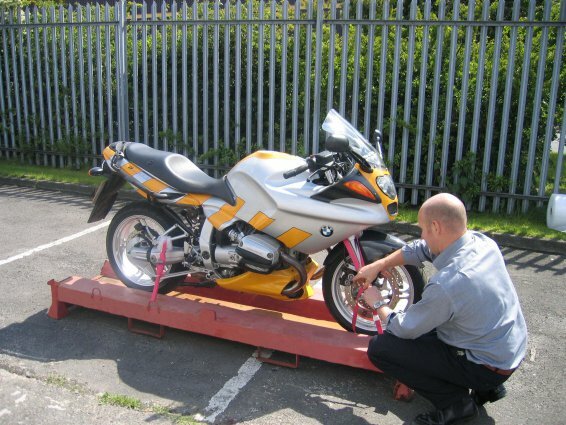 Next we load your motorcycle on a trailer, together with other customer’s bikes and ship them to your chosen destination depot, fully insured, where the bikes are unloaded and safely stored awaiting your arrival. You fly down to an airport nearby a few days later, collect your bike and off you go! Instead of it taking you 3 or 4 days to ride to somewhere like Portugal, you can fly out of the UK in the morning and be on your bike in the sunshine soon after lunchtime the same day. 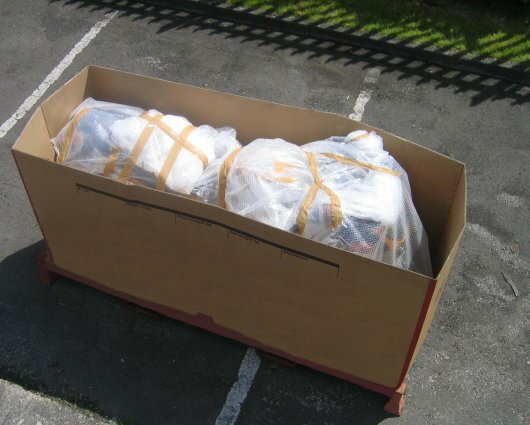 Panniers remain attached to the bikes for shipping and you can also secure your helmets and riding gear to the bikes and fly out to collect them with only your hand baggage. 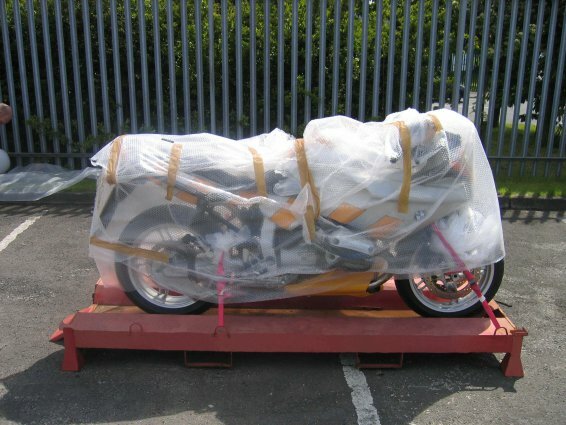 The procedure is identical for the return journey, or you could chose to ship your bike in just one direction and ride home. Click on the button below to send us an enquiry. 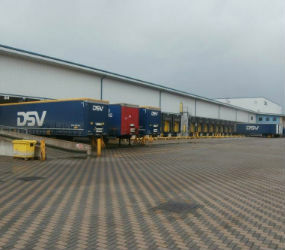 Eurobiketrans Ltd C/O DSV Road Ltd, Unit 1 Greeba Road, Roundthorn Industrial Estate Wythenshawe, Manchester, M23 9ET.